The Forevermark Tribute™ Collection celebrates the individual characteristics that makes a woman unique, beautiful, and brilliant. From on-trend stackable rings with bezel set Forevermark diamonds to dainty drop earrings and simplistic necklaces, the collection allows your creative side to flourish and personalize your look. 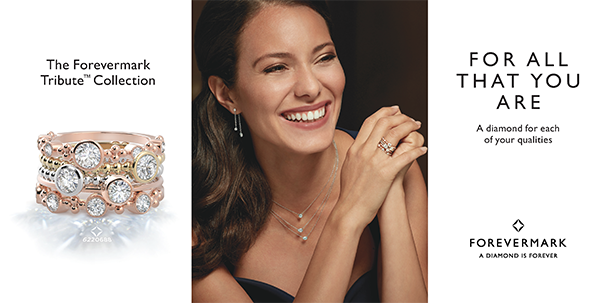 Treat yourself to some sparkle and celebrate life’s moments with the Forevermark Tribute™ Collection.